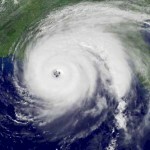 (METEOROLOGYNEWS.COM) An absolutely stunning photograph was taken from several miles above Joplin, Missouri following the devastating EF-5 tornado that ravaged the town of Joplin on May 22, 2011.Â Click on the image for a much larger view. 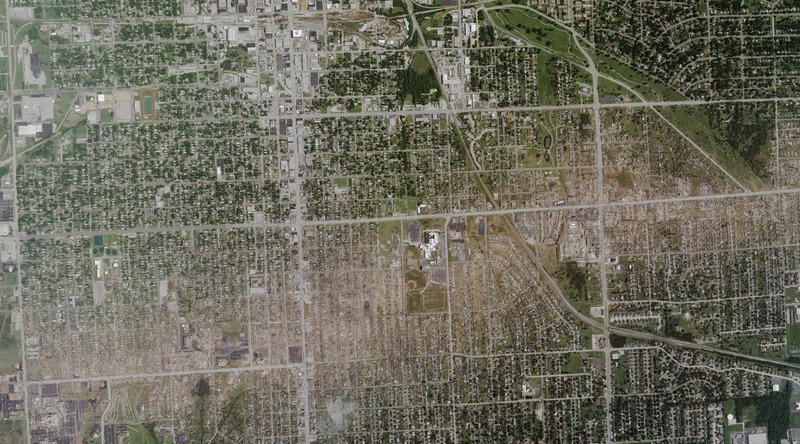 The scar left by the EF-5 tornado that devastated Joplin, Missouri on May 22, 2011 is visible from miles above the earth, as evidenced by this photograph taken by a satellite in space. Click the image for a much larger view.